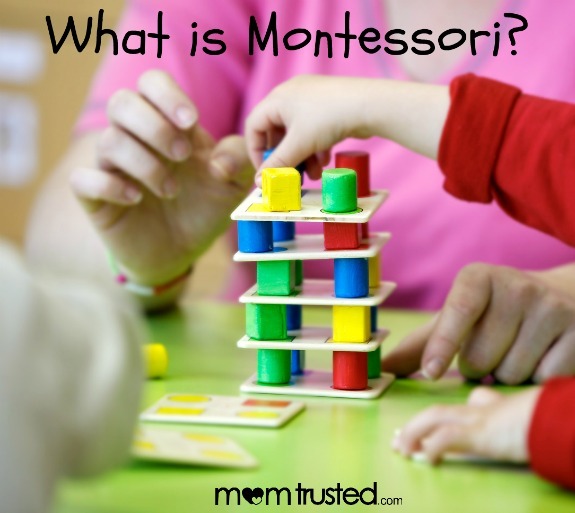 Montessori education is a popular topic of educational conversation in the past few years. This type of schooling focuses on a child’s independence and promotes freedom within reason. It is also well known for its’ respect towards each child’s natural social, physical, and psychological growth. Montessori schools have been a wonderful destination for students who may not have been learning at the same rate as their peers (or they may have needed other methods to meet their learning style). Mixed age classrooms, student choice, discovery education, and freedom of movement within the classrooms are common themes. Many families like this alternative environment when compared to traditional schools with their straight lines, desk work, and strict expectations. Maria Montessori began to develop her methods in the late 1800s opening her first classroom 10 years later. Her work was based on her observation of children and experimentation with her methods, use of multiple environments, and various tools and materials. Her work was really starting to take off when she experienced some push back from the American education establishment. Her style of teaching would not become popular again until the 1960s. Now there are thousands of schools like the one she started in the early 1900s. To quote Montessori: “… Education is not something which the teacher does, but that it is a natural process which develops spontaneously in the human being. It is not acquired by listening to words, but in virtue of experiences in which the child acts on his environment. The teacher’s task is not to talk, but to prepare and arrange a series of motives for cultural activity in a special environment for the child. The Montessori school environment is different than traditional educational establishments because instead of the information always being passed from the teacher to the student, the teacher has created such an environment in which the student can learn by self-exploration and experiences. The environment is usually divided into various educational themes: cooking, cleaning, art station, library, gardening, caring for animals, etc. Students can spend as much time as they want in any area but throughout the day, they will be engaging in all school subjects: math, reading, writing, history, science, music, art, geography, physical education, health, etc. When deciding if Montessori schools are right for your family, consider you child and the future. Is this something you want to do long-term? If not, does your child adapt well to change (because Montessori and traditional schools vary greatly)? Each Montessori school can utilize the Montessori ideals in its’ own way so sit in on a few classes at various schools before making a decision. Talk to parents in your neighborhood whose children attend traditional and Montessori schools. Montessori education could be a solution to dealing with issues in our public-school system today. It is worth checking out!